The goal of opusSchedule is to reduce travel time and distance for care and service providers, increasing the amount of time dedicated to client care. It is a valuable tool for organizations of all sizes, from governmental health regions, to private care providers. Pricing is based on the size of the organization, making it affordable and valuable no matter your application. opusSchedule an integrated scheduling system that creates significant savings in the travel distance, time, and cost of delivering health or other services to the home. It reduces the amount of travel time and increases the amount of care or service time available, improving the efficiency and quality of health services delivered to the home. 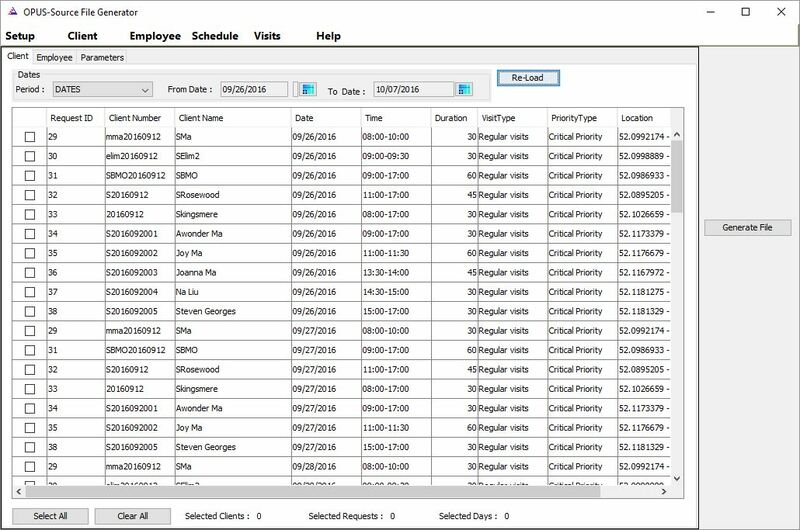 The software takes all required visits for a period of time and creates geospatially-optimized schedules and routes for all mobile care or service providers while considering the unique spatial constraints (shortest distance and travel time), and personal constraints (caregiver, client, and administrative) that exist. 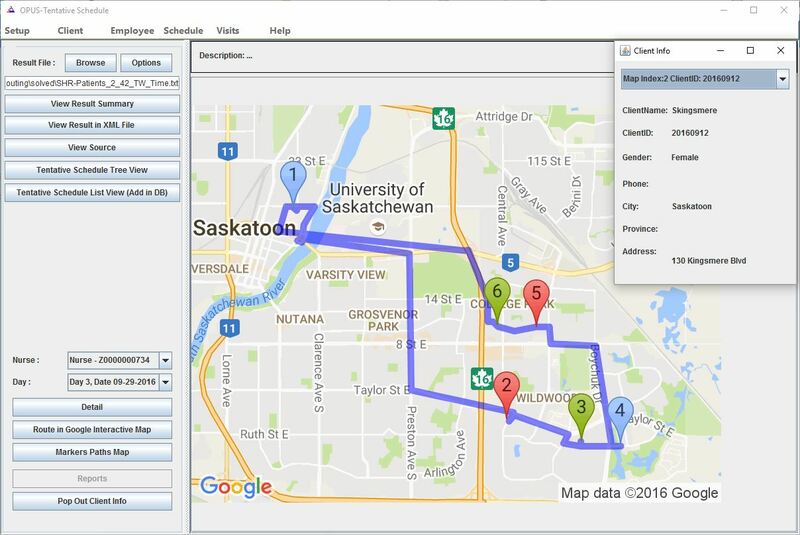 The optimized routes are displayed on a Google map, which can be printed or emailed to mobile care or service providers. 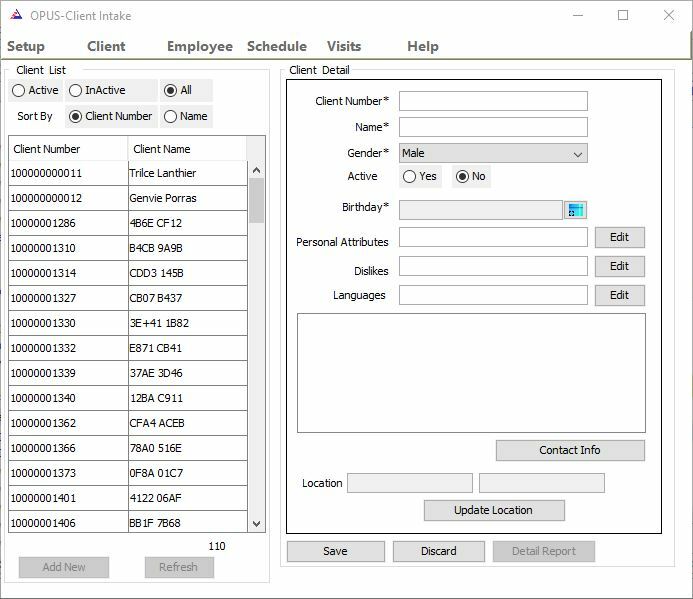 opusSchedule can import needed information from existing databases, but also includes fully functional Client Information Management, Employee Management, Scheduling and Reporting Modules. Automatic alignment between provider and client constraints to select the best available care or service provider.